In august 2013 Ben Lukas Boysen spent some time in Barcelona, making audio recordings of the 9th biggest supercomputer in the world, Mare Nostrum. Installed in a former chapel with acres of glass and steel, Europe's most powerful computer is not only impressive in its performance but also in its appearance. 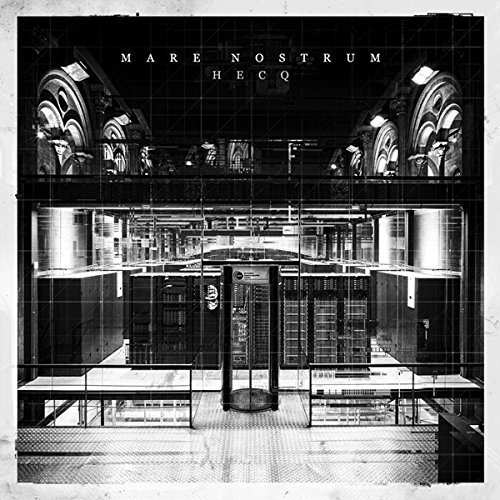 With this album you will get a living proof of Mare Nostrum's audible skills, captured and processed by hecq. this release is a fascinating symbiosis of electronic soundscapes and systematic recording where samples of Mare Nostrum's sound are masterly integrated into four lengthy compositions. Abstract pulses of a machine with sometimes even creatural sounds and atmospheric synthesized ambience result in a deep, organic opus, creating a yet unheard sonic landscape in the listeners' minds. A dense, impressive auditory adventure and one more epic milestone of HECQ's ambient-oriented side. Highly recommended.